Ok I wish I could give you a little taste of these babies through the wifi, they are so good! I mean, just look at that marbled cream cheese goodness. 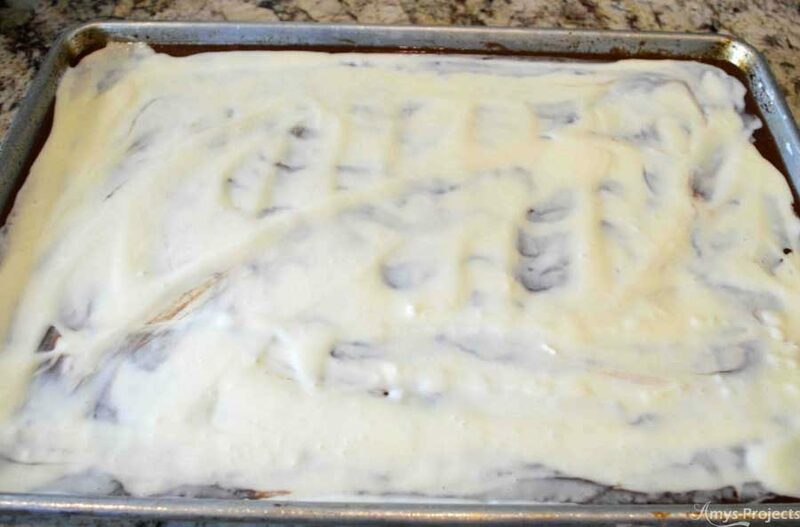 My sister got this layered cream cheese brownies recipe from her mother in law when she got married, and needless to say this is what she’s assigned to bring to every family potluck gathering. Alright, enough with my ramblings, it’s time to get cooking! Preheat oven to 350 degrees. Put water, butter, cocoa and chocolate into a bowl; microwave mixture, stirring occasionally until chocolate and butter are melted and smooth. Set aside to cool. I usually skip to the cream cheese layer and whip that up while this is cooling. In a large mixing bowl, beat eggs and sugar. 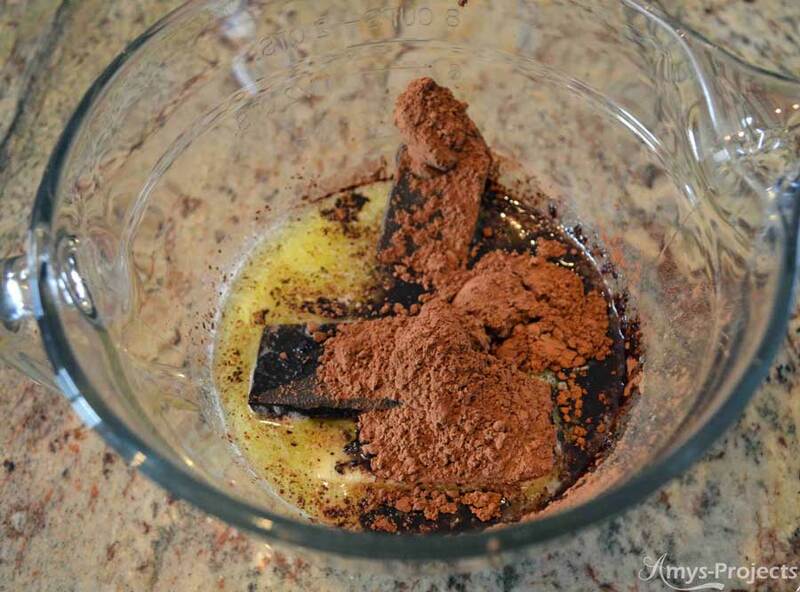 Mix in chocolate-water mixture. Add buttermilk, baking soda, vanilla, and flour; mix well. 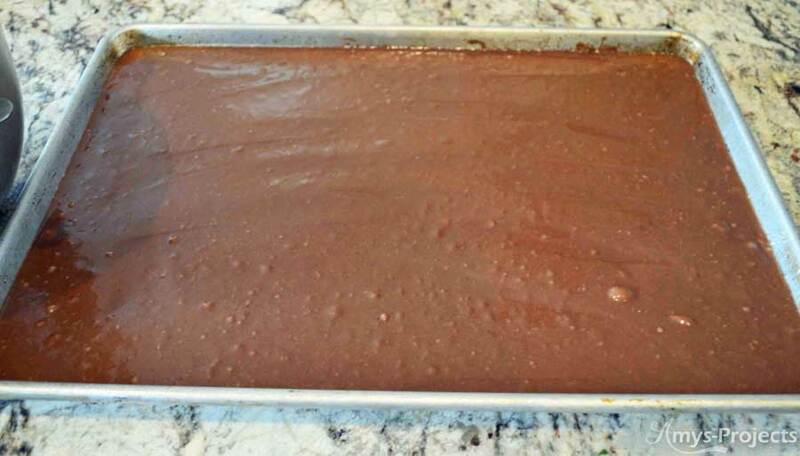 Pour a little over half of the batter into a greased cookie sheet* (18″x 13″). Reserve remaining batter. 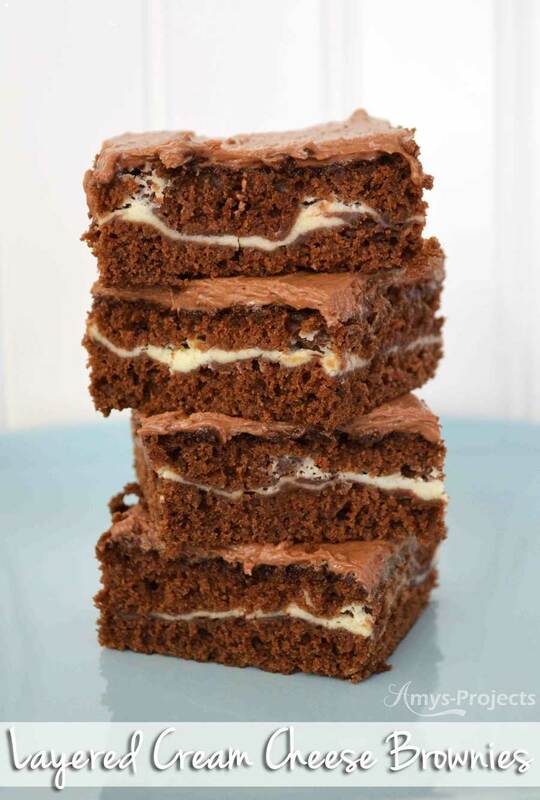 Mix well until smooth and carefully drizzle over brownie layer. 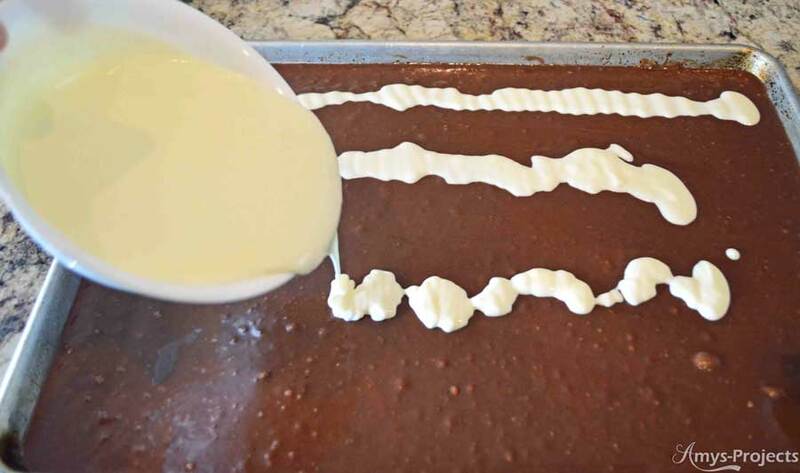 Spread over the brownie layer. 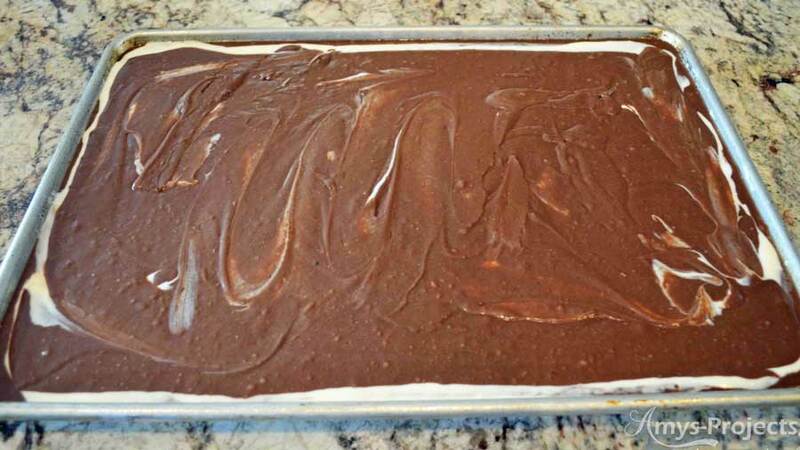 Carefully spread remaining brownie batter over the cream cheese mixture. Bake at 350 degrees for 30 minutes. Remove from oven and cool. Beat ingredients together until whipped. Spread over cooled brownies. Enjoy! (and try not to eat the whole pan :-), maybe that’s just my problem.) Pin for later. 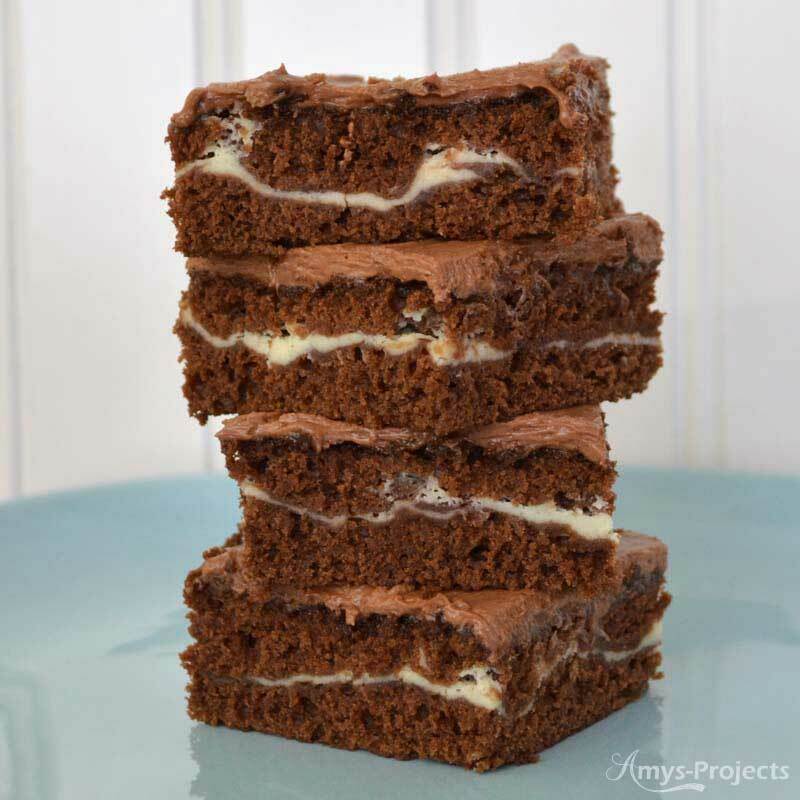 These look soooo yummy Amy! Pinned!